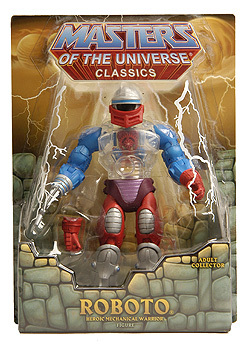 Matty Collector has posted new in package pictures of the upcoming MOTU Classics figure Roboto. 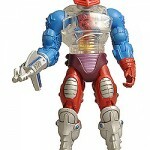 Roboto is available for sale at MattyCollector.com on October 15th. 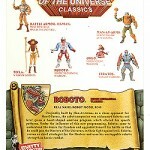 Roboto goes on sale October 15th on Mattycollector.com! yay we still don't want it! 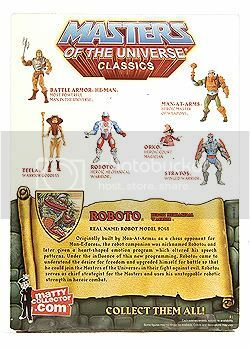 I still remember the day I got the original Roboto. I will be getting this one for sure. Wow, he brings back memories. Kudos to Matty and 4H! 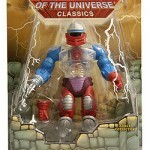 He looks awesome and if I actually collected the line, I would certainly pick him up. Good luck to all those going for him in October! I wonder if I'll get one with "The Original" on it. Well, at least the arms are functional. 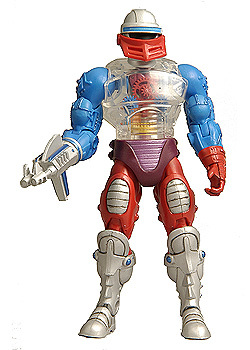 Maybe one day Mattel will get this one right. Anybody get any without "The Original" on them? I need 2 if anybody has them for sale. This Roboto is all jacked up! I didn't realize that any were coming with "the original" on them until I received mine. Did they do two runs for this sale? 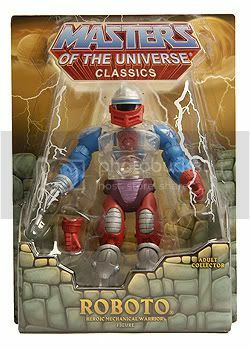 Yup, Roboto was released with both packaging variants at the same time. Any reason why that you know of? You'd think subscribers would get the one without "the original" on it, first come first serve type thing, but what can ya do. They made both versions at the same time, so buyers are getting them randomly. i have an unopened one at home. i'll check tonight fo ya main. unfortunately the other one i have has "the original" on it as well. sorry. Cool, Is the card in mint condition? it is. i only removed it from the brown shipping box last night. i'm willing to part with it you still want it.